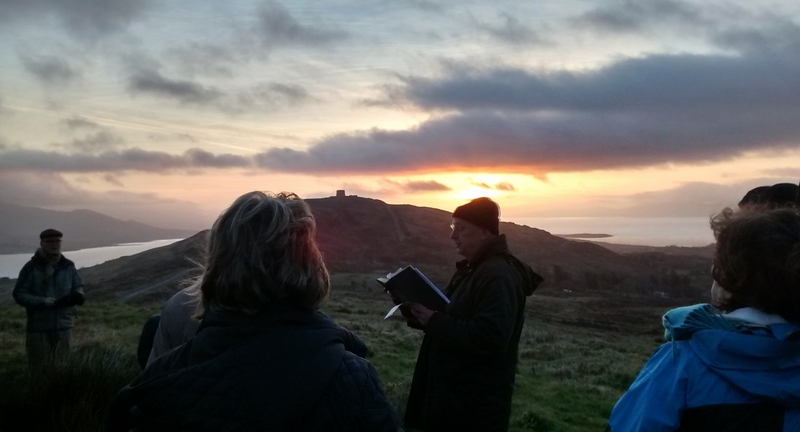 The house community has just got back from the annual WCCM Easter retreat held on Bere Island, Ireland. 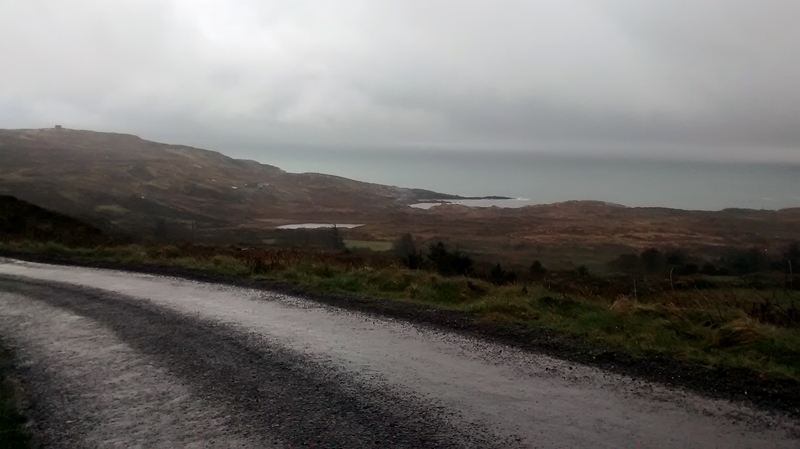 Bere Island is located on Bantry Bay about 2 hours south south west of Cork. 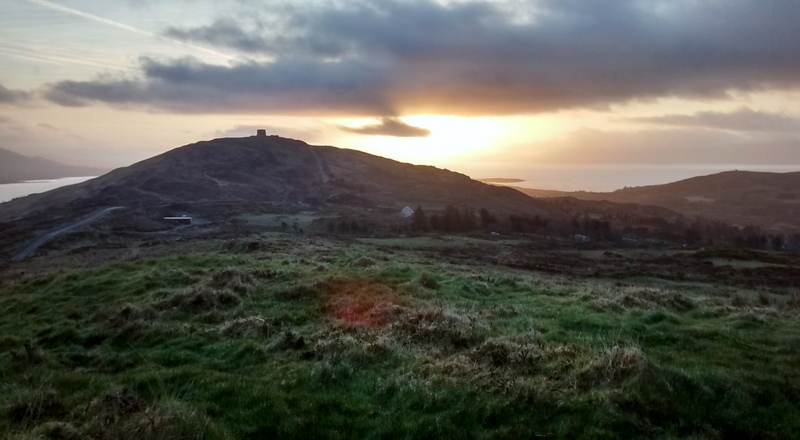 Bere Island is a wonderful place to hold a retreat. Its natural pace is slow. Cows have more to say about setting the tone for the island than any traffic. The island is ancient. It holds lightly and faithfully a contemplative spirit. 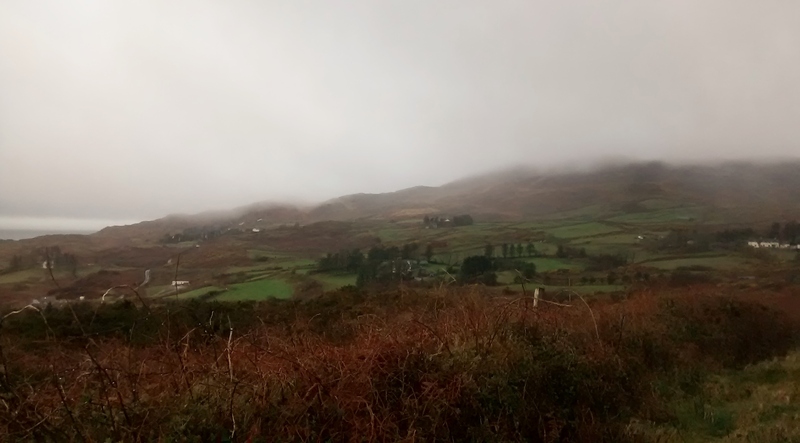 We were part of a group of meditators (old and new) who rented three houses located about 15 minutes via bus from the Bere Island Heritage Centre. Fr. Laurence gave his talks at The Heritage Centre. This centre was also where all the retreatants meditated together. We were on the island for the entire week leading up to Easter. This week is called Holy Week in the Christian tradition. From Palm Sunday until Easter Sunday we lived together, ate together, and prayed together. As the week went on we all experienced the challenges that new beds, new people, new living space, and communal travel had to offer. Our differing personalities and temperaments began, in their own unique ways, to ‘feel the pinch’ of the conditions we found ourselves in. By the middle of the week I felt thoroughly overwhelmed by it all. I felt. Who was this I who was overwhelmed by it all? It could be said that this I was my ego, that conscious part of my inner life which was painfully discovering that it could not have the retreat experience on its own terms. The experience became one of rawness. The vulnerability of my ego to too much change too quickly was laid bare, revealed for all to see. As the week went on I could see the people around me start to fray around the edges. Impatience and frustration began to leak into our relating. Psychological subsistence and the cooking roster met head on. The tendency for us all to end up in the kitchen all at once had me exasperated. Then came a realisation: this was part and parcel of the community experience for the week. Anger and resentment began to rise in me. Ego felt ‘ripped off’, manipulated, ambushed. By Good Friday I could see a choice before me: participate as practically and as gently as you can or shut down. In a moment of grace, a moment that the practice of meditation quietly prepares us for, I chose to contribute as I could from moment to moment. Inner movements of perfectionism and anxiety (‘You must do more!’ ‘People think you’re lazy!’ ‘You must be liked!’) began to settle somewhat. I began to accept that I could not do everything (and did not need to). As tiredness and impatience increased I began to trust those around me to understand. I began to risk rejection. The art of the spiritual life, of a human life growing in full health, is all about the de-centring of the ego, that is, about our attention being more on loving others than being fixated on ourselves. Sometimes this is just too hard, and that is ok. When it’s too hard we have the opportunity to experience the limitations we have at that moment and to mysteriously grow a little more in the grace of compassion that awaits within all of us. If this growth in graced compassion is too hard to see and accept, that’s ok as well. Sometimes all we have left is the experience of the ego suffering, experiencing fallibility, failure, and limitation. Easter is here to remind us that Divinity is already in this experience, even if we cannot see or feel it. Dying to egoism and rising to love does involve psychological pain, or suffering. Good Friday too lives on in us. Good Friday, though, is only part of the story. The good news is that when ego is experiencing this pain, this disorientation, it can be the very time when the divine life can move powerfully for integration and healing. The illusion of control which ego maintains is exposed as a lie. In this experience we have the chance to let go into Love just a little bit more. It can all be a part of the experience that is the integration of ego with the deeper Self in God. As a part of the retreat experience there were regular periods of meditation. These periods really helped. Attention on the mantra was attention off the experience of being overwhelmed. It is important to note here that attention off this experience of being overwhelmed was not repression of the experience. It was simply attention on the transformative and integrating consciousness of the Risen Christ within us all. The last three days became easier. The experience of love for myself and others began to return. Then something else happened. On Sunday, as Fr. Laurence read from John’s account of the first Easter morning, a new, subtle, gentle experience of Christ rose into awareness. This experience was the fruit of both the meditation and the struggle of the week. The words of the Gospel story had new clarity. The experience of Christ risen, mysteriously held within the words themselves, was resonating afresh within. Another veil had fallen. I am learning that any growth in the acceptance of Divine Love, so radically and completely given to us at Easter through the death and resurrection of Jesus, frees us to engage struggle with a growing compassion and a gentle curiosity. Growth can be a painful struggle. Peace, joy, and humility are (just some of) this struggle’s fruits.